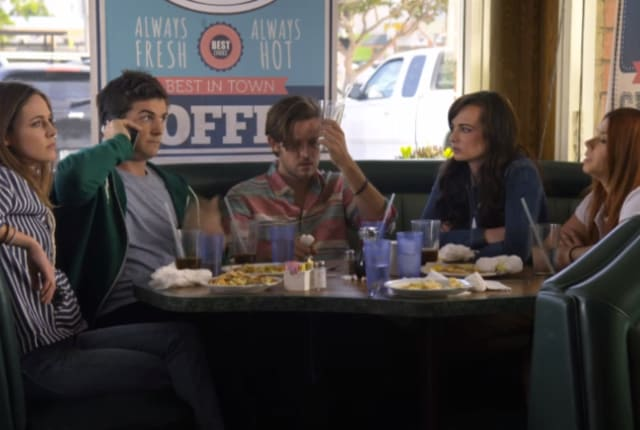 Watch Awkward Season 5 Episode 18 online via TV Fanatic with over 7 options to watch the Awkward S5E18 full episode. Affiliates with free and paid streaming include Amazon, iTunes, Vudu, YouTube Purchase, Google Play, Hulu Plus, and Verizon On Demand. On Awkward Season 5 Episode 18, an Idea Bin post by Jenna threatens to unravel all of the progress she and Matty have made in renewing their friendship. How is me getting fired a good thing? Permalink: How is me getting fired a good thing? Permalink: I want a soda!